Due to widespread use of western clock and Gregorian calendar people assume 12 p.m. as Madhyahna moment. This could have been correct if sunrise and sunset occur exactly at 6 a.m. and 6 p.m. respectively but at most places sunrise and sunset timings are different from six O’clock. Hence the exact time to celebrate birthday of Lord Rama falls between 11 a.m. and 1 p.m. for most Indian cities. Pujabooking.com list Hindu midday moment for all cities and this moment should be used to mark the birth of Shri Rama. Eight Prahar fasting is suggested during Rama Navami. Which means devotes should observe the fast from sunrise to sunrise. 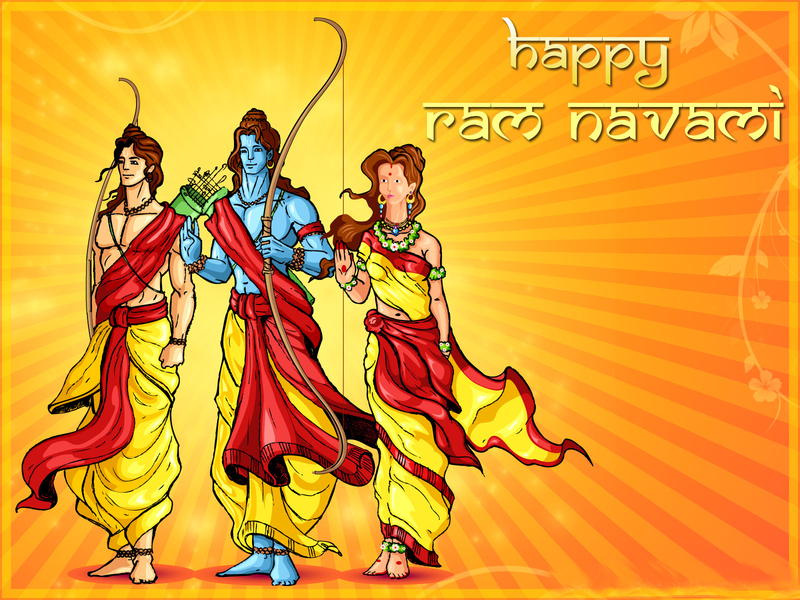 Rama Navami Vrat can be observed in three different ways, casual (नैमित्तिक) -which can be observed without any cause, continual (नित्य) – which can be observed throughout life without any desire and desirable (काम्य) – which can be observed to fulfill any desire.